Head of Space Affairs at the Ministry of the Economy, Marc Serres, has been appointed Vice-Chairman of the ESA Council for the remaining mandate of the current chairship until 30 June 2019. As the first Vice-Chairman of the ESA Council from Luxembourg, he replaces Mrs. Otylia Trzaskalska-Stroińska, Deputy Director, Innovation Department at the Ministry of the Development of the Republic of Poland after her resignation. Marc Serres graduated with a PhD in Engineering in 2000 at the Catholic University of Louvain. 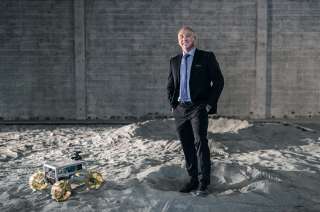 He started his professional carrier in the satellite communications antenna manufacturing industry. 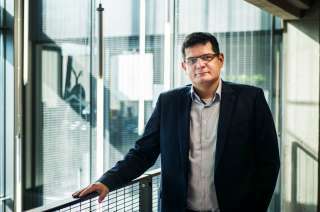 Prior to his current position at the Ministry of the Economy, he managed the relationship with ESA for 8 years at the Ministry of Higher Education and Research. The ESA Council is the main governing body of the European Space Agency, representing the Member States either at Ministerial or delegate Level. The Council defines the basic policy guidelines and determines the directions of development of the European Space Agency and the European space industry. At present the agency has 22 member states. Luxembourg officially became a member state of ESA in 2005. At the preceding step to position the country in the space sector, Luxembourg entered into space in 1985 through the creation of the Société Européenne des Satellites (SES). 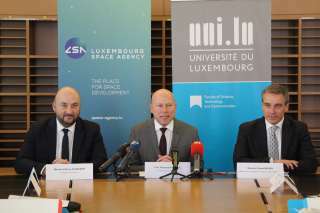 The last step taken by the Luxembourg government has been to position the country as a pioneer in the development of the space resources economy under the branding SpaceResources.lu. Luxembourg collaborates with ESA on activities concerning missions to the asteroids, related technologies and space resources exploration and utilization.